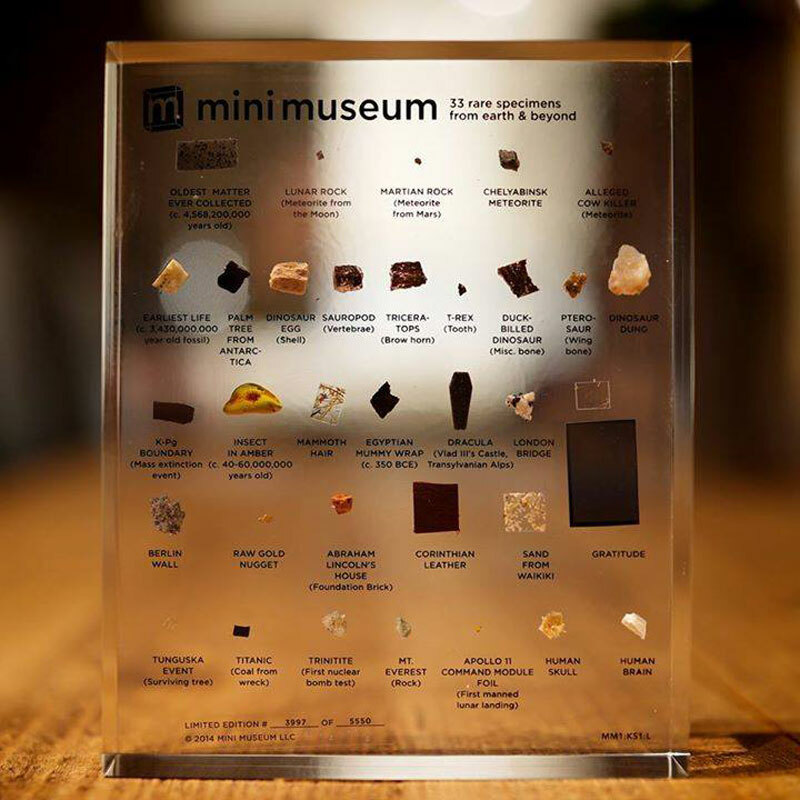 The Mini Museum by Hans Fex is a pocket-sized collection of rare specimens that are labelled and embedded into an acrylic block. Some of the 33 specimens include: lunar rock, dinosaur egg, coal from the Titanic, a piece of the Berlin Wall and the ‘oldest matter ever collected’ at over 4.5 billion years old! The project was originally launched on Kickstarter with a campaign goal of $38,000. Not only would Hans reach his original goal, but by the end of the campaign the project raised a staggering $1,226,811 from 5,030 backers. The first batch of Mini Museums have been distributed to the original Kickstarter funders and there are now plans for future editions. You can find out more information about the Mini Museum on the official site.